Fall has finally arrived here in the California desert. At least that’s how it feels in the evening and first thing in the morning. It’s still hot during the day but this weather change is one I look forward to every year. So thankful for the cooler weather. 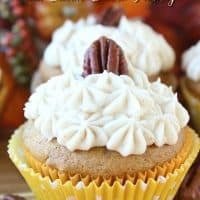 One of the things I love the most is waking up and sitting on the porch with a delicious cup of coffee and enjoying the cool, crisp, fall mornings and enjoying some delicious pumpkin pecan cupcakes with cream cheese frosting that taste amazing. Who doesn’t LOVE cupcakes? 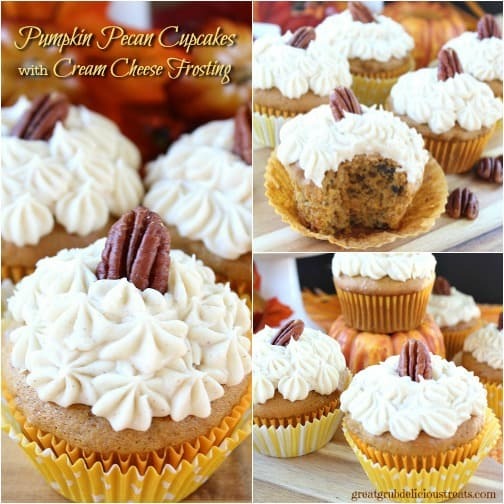 And who doesn’t LOVE cream cheese frosting? 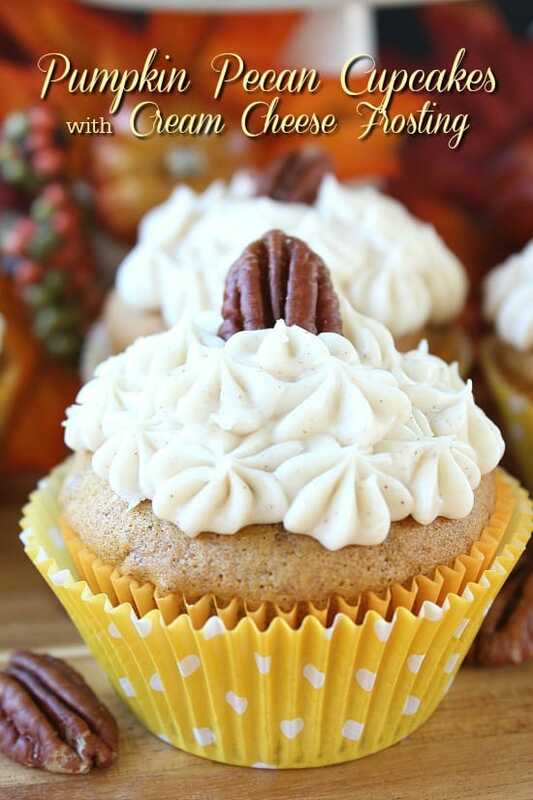 Well, if you are like me, you are going to LOVE these pumpkin pecan cupcakes with cream cheese frosting. 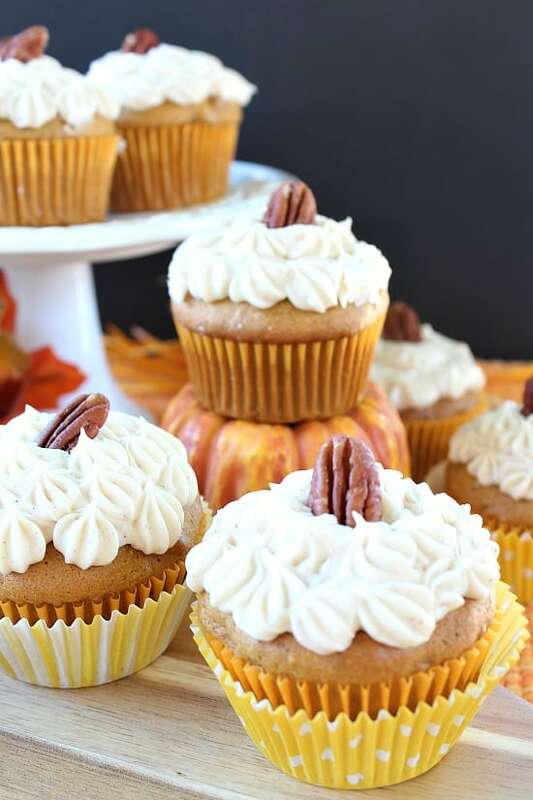 Each cupcake is loaded with pecans and delicious pumpkin flavor, topped with a creamy cream cheese frosting with a hint of pumpkin pie spice. Can you say YUM? Double yum! 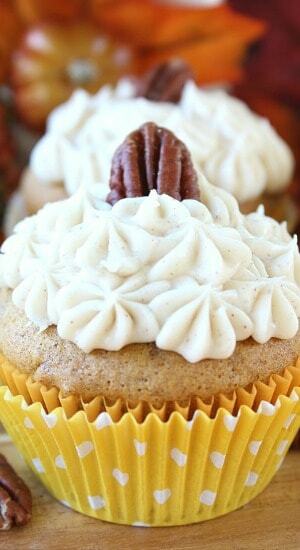 These pumpkin pecan cupcakes are great even without frosting. So moist. I’m just such a lover of frosting, especially butter cream, that I cannot eat a cupcake or a piece of cake without it. Well, I can, but won’t. Sinking your teeth into a deliciously tasting frosting is the absolute best. 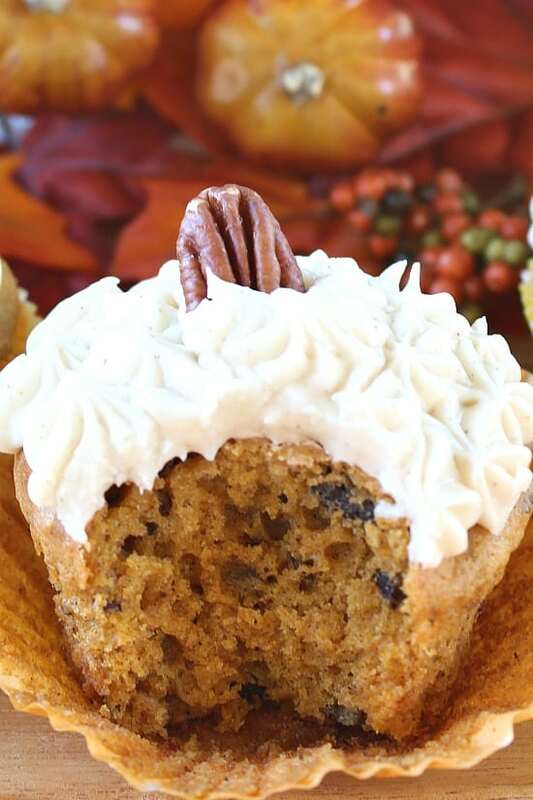 Cupcakes are great to make to share with family and friends. I usually take recipes I make to work come Monday morning, but not these. They won’t make it for my co-workers this time. They were gobbled down by family immediately. 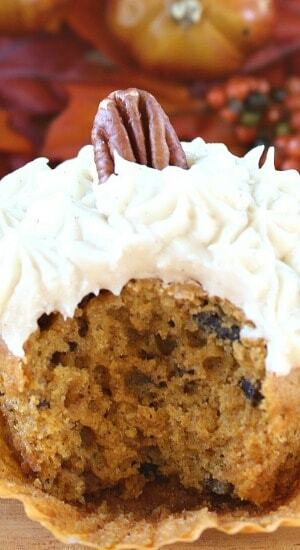 This recipe comes from my Pumpkin Pecan Cake that I made a while back. 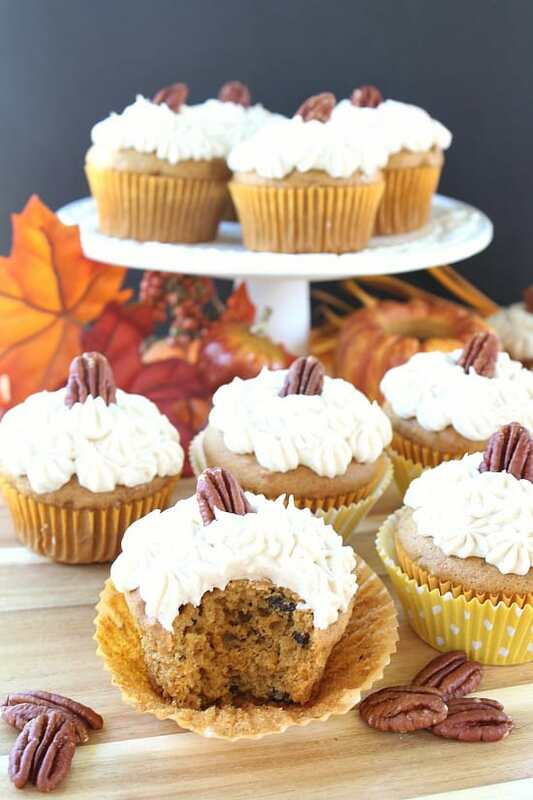 I was in the mood for some delicious cupcakes and decided that it was a pumpkin kind of day. Thank goodness for fall! I will post more delicious recipes soon! Make sure to follow me on Pinterest, Facebook, Instgram, Twitter, Google+, and Tumblr! In a medium size bowl, whisk flour, baking powder, cinnamon, salt together and set aside. In a large mixing bowl, beat eggs, on low speed, until they are mixed well with a foamy appearance. Gradually add sugar and beat for one minute. Next, add dry ingredients to wet ingredients, alternating with pumpkin mix, ending with dry ingredients. Mix on low speed until smooth. Spoon into lined cupcake tin and bake for 22 minutes or until tooth pick inserted comes out clean. Beat on medium speed, cream cheese, butter and vanilla in a large mixing bowl. Slowly add the powdered sugar and beat on low speed until well blended. Add pumpkin pie spice and mix until well combined.